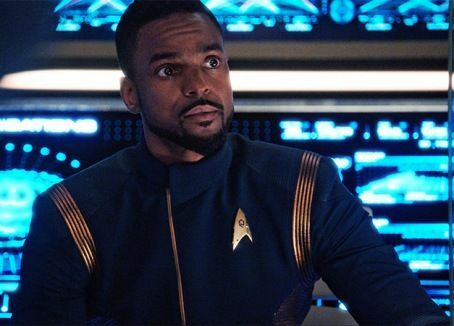 He was the pilot of the shuttle Disco 1 that transported the boarding party of Michael Burnham, Paul Stamets, Ellen Landry, and Sylvia Tilly aboard the USS Glenn. When Harcourt Fenton Mudd attempted to take over the Discovery using a time loop, he was on the bridge at the communications officer post. When he attempted to stop the criminal, Mudd disparagingly called him "random communications officer man."